Spinal stenosis in the upper back is one of the 2 least common of all canal and foraminal space narrowing conditions in the human vertebral column. The upper and middle back regions, also called the upper and lower thoracic spines, are not known to experience the same incidence, degree or severity of stenosis as other locations, since the processes which typically cause spinal stenosis do not generally exist in these zones to any considerable degree in a typical anatomy. However, with extenuating circumstances, injury and subsequent degeneration can cause stenosis to occur virtually anywhere in the spine, including the usually spared upper back and middle back areas. This essay examines cases of central and neuroforaminal stenosis in the upper thoracic region of the vertebral column. The upper thoracic spine consists of T1 to T6. This strong and durable area is responsible for providing support, protection and mass to the body and is not subjected to the same regular bending and flexing common to the neck and lower back. The thoracic levels are therefore not affected by degenerative disc disease, spinal osteoarthritis and facet joint deterioration to nearly the same degree as the upper and lower levels which surround them. The main reason why stenosis will occurs in the thoracic spine is due to traumatic back injury. Serious damage to the vertebrae or intervertebral discs in the upper back can immediately cause acute stenosis to occur or may facilitate the degeneration of the region to slowly narrow the central canal or foraminal spaces much in the same way as these processes occur in the lumbar or cervical zones. In other less common cases, a congenital or developmental condition predisposes the patient towards narrowed foramen or a less patent central canal. 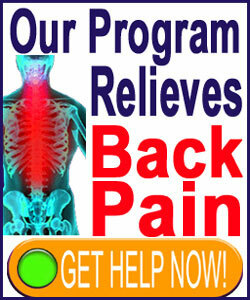 Any type of stenosis in the upper back can be diagnosed via advanced imaging. MRI is the best of the methods used, but CT scan is usually fine and even primitive x-rays can see some forms of bone-related stenosis. When a stenotic condition is suspected, an MRI will provide the best detailed view into the affected region, offering the chance to see the narrowed spaces from all angles and zero in on the possibility for nerve compression or spinal cord compression which may be the direct result. Remember, without neurological impairment, most stenosis conditions are complete non-issues. Talk to your doctor about the best type of diagnostic testing to ensure that you are not labeled with a mistaken theory as to the source of your pain. 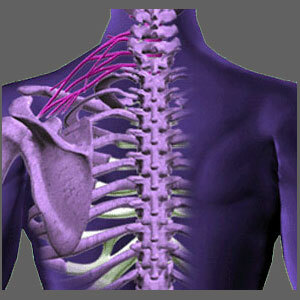 Thoracic structural issues are less common than anywhere else in the spine. The region is usually immune from the normal degenerative processes and is even incredibly resistant to injury and trauma. Most cases of thoracic damage are due to severe and concentrated force applied directly into the spine, often via car accident, significant fall or penetrative impact, like a gunshot. Patients with congenitally narrowed thoracic canals are also susceptible to narrowing here, although most typically, not to a symptomatic level, unless another contributor further decreases the canal patency to a large degree. Luckily, treatment for thoracic stenosis, regardless of the causation, is statistically better than in other areas of the spine. All in all, if you must be diagnosed with some variety of canal narrowing, this might be one of the best places to experience it.